Family photos of Urmila Danuwar. All photos by the authors. Outward migration of workers has been one of the most important features of contemporary Nepali society and economy. According to a World Bank report released in December 2018, Nepal’s inward remittances as a percentage of GDP (30.1 percent) is the highest in Southasia and fourth highest in the world. While countries like Malaysia and the Gulf states are some of the usual destinations for Nepalis seeking employment abroad, a significant proportion of Nepalis in fact migrate to India in search of livelihood. Since labour permits and complicated bureaucratic procedures are not required, Nepali workers often move back and forth across the open border. A large number of these migrants are women, about whom no reliable statistics are available. Who are these women, and how do they experience life in a country that is not their own, yet not quite foreign? 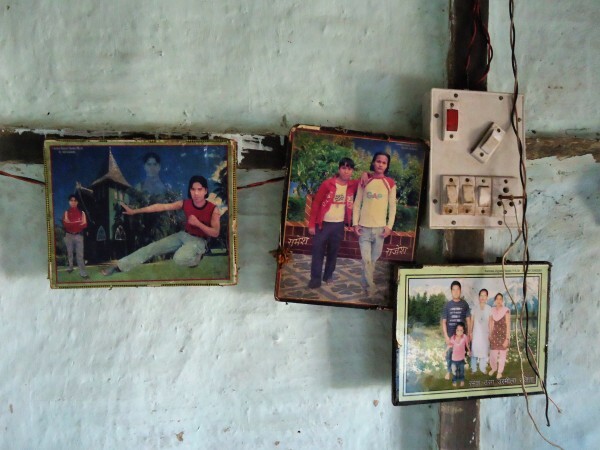 This photo essay is a glimpse into the daily lives of Nepali women migrants working in a range of sectors in various parts of India. 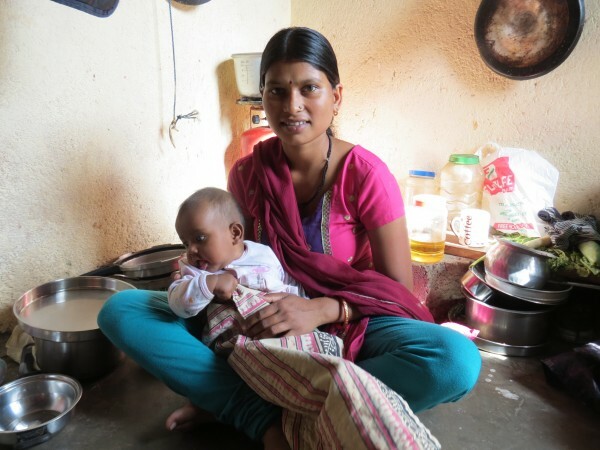 Urmila Danuwar, 30, worked with her husband in a poultry farm in Rajasthan. 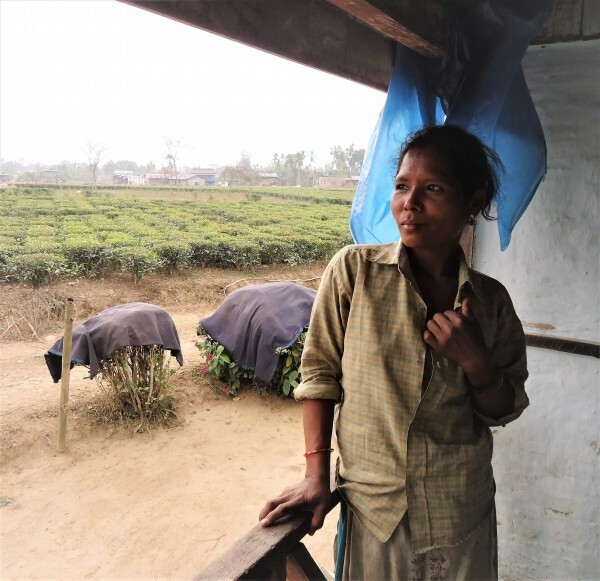 After their return to Nepal, her husband went to work in Malaysia, while she lives and works in their hometown at Danabari Tea Estate in Ilam. Jamuna BC, 20, is from Byansi village in Bajhang. Now a mother of three children, she was married at 15. 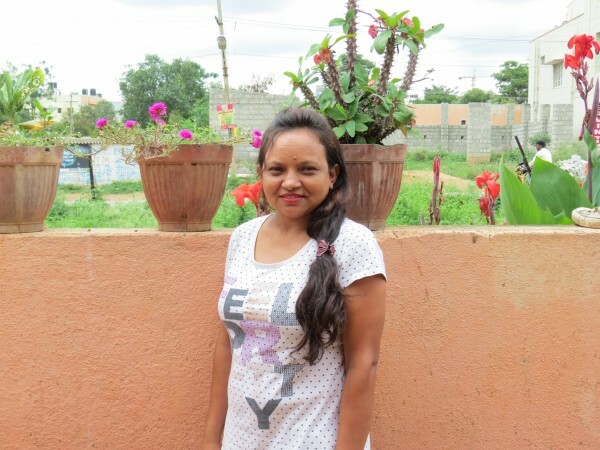 She and her then 16-year-old husband came to Bengaluru to join his family. She works as a domestic worker in five houses, sweeping, mopping floors and washing utensils, earning about USD 28 in each home. 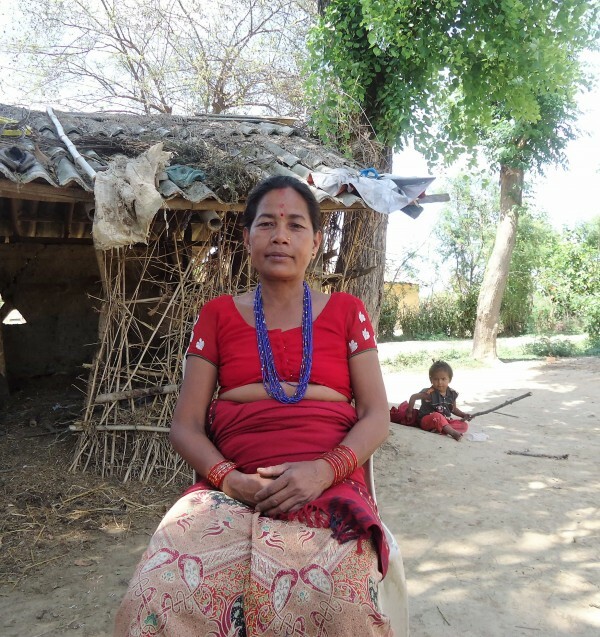 Geeti BK, 25, is from Thalinamish village in western Nepal’s Bajhang District. At 16, she was married to a 30-year-old man who was working in Bellandur, a suburb in Bengaluru. After nine years in India, she and her husband continue to work as domestic workers in apartment complexes in Bellandur. Asha Verma, 35, is from Jahada village in the Morang District in eastern Nepal. She lives in a rented house near Delhi and works as a tailor in a sports factory in Haryana. Nirmala Dahal is from the Okhaldhunga District in eastern Nepal. 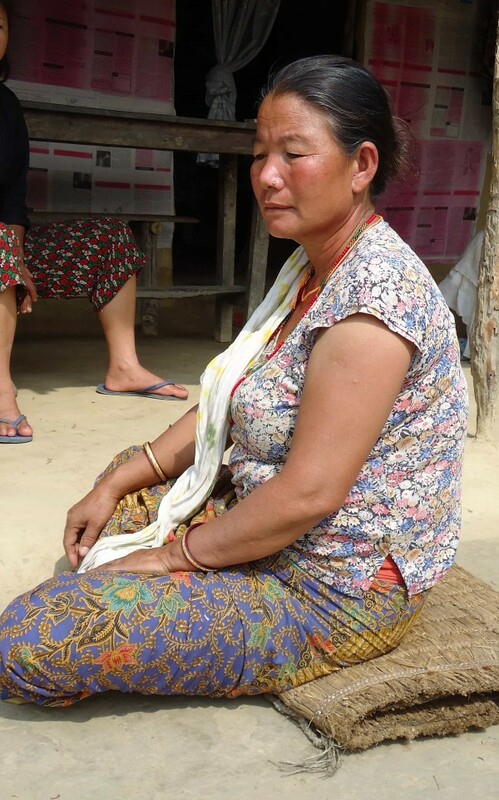 Now 36 years old, she was 18 when she and her husband left Nepal, during the armed conflict. Her husband worked in the security department of a chewing-gum factory in Bengaluru. 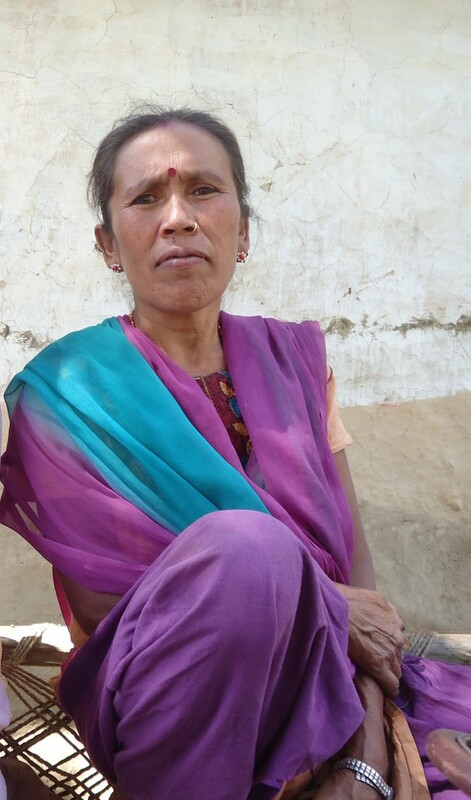 Shobha Sharma, her husband, and their two daughters fled their home in Arughat Bazar in Gorkha District. They first went to Darjeeling and eventually to Bengaluru, where they both run a philanthropic agency, sheltering young people and women in distress. 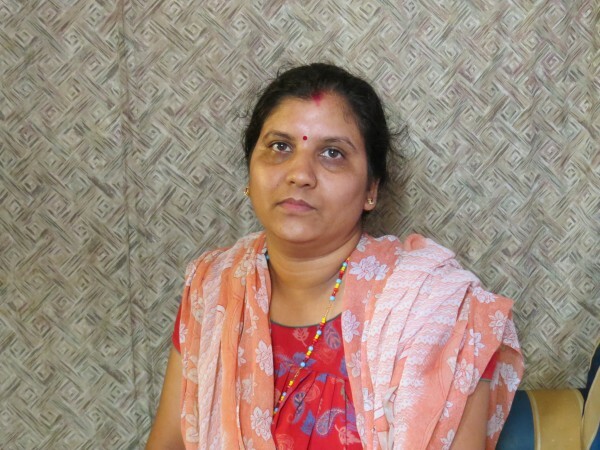 Kaushila, 44, worked in the mountains of Garhwal in India, and then went on to Saudi Arabia via Mumbai. 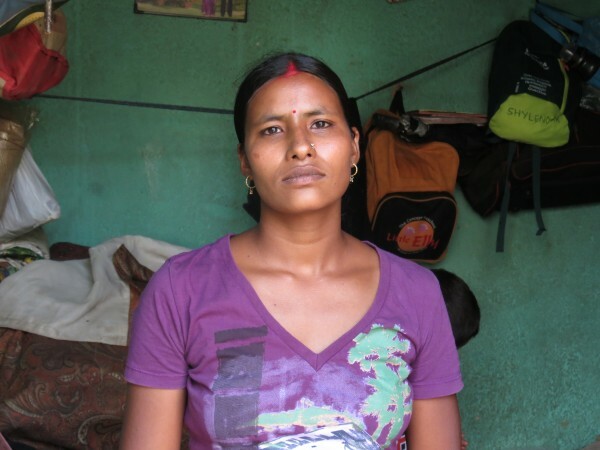 In Garhwal she and her husband carried stones and sand as part of a road-construction gang. Twenty-five years ago, Man Maya from Jhapa in Eastern Nepal accompanied her husband to Meghalaya, in northeast India, to work in a coal mine. 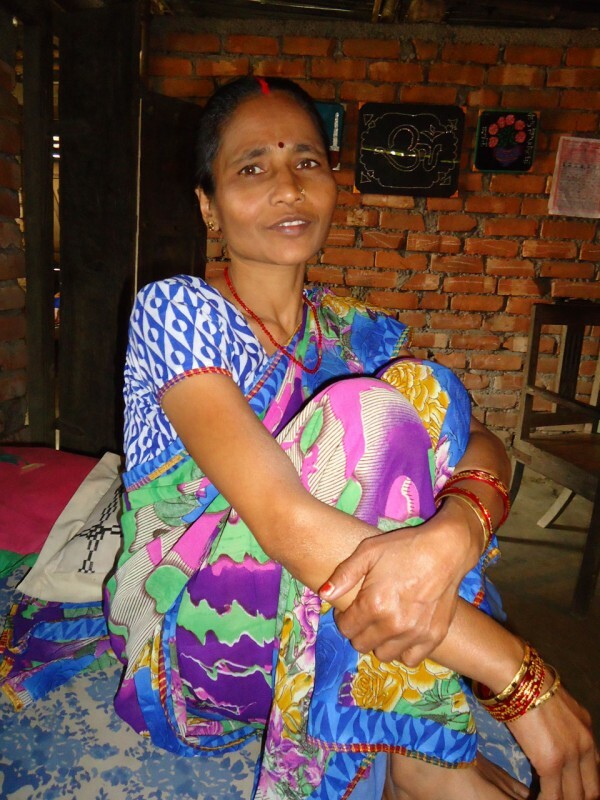 She cooked rice and eggs and fed it to the Nepali mine workers. Pavitra Bika, 43, from Dailekh, worked in Aligarh, Uttar Pradesh, in a brass factory for almost a decade. Her factory produced metal cupboards and she earned an average of USD 14 per month. She has now returned to Nepal, and her husband is not keen on her resuming work in Aligarh. Sangita Mahatara worked as a security guard in a multinational bank in Gurgaon, near Delhi. She worked 12 hours a day, and put in overtime on many days a week, managing to earn enough to admit her children to a private school. ~The research for this story was conducted under the auspices of the Hri Institute for Southasian Research and Exchange, a unit of The Southasia Trust.